Property in Singapore is seen as a reliable investment and asset for both locals and foreigners alike. Real estate in Singapore remains relatively affordable compared to other countries and currently, inheritance tax is not payable in Singapore. This article hopes to shed some light on the types of housing available in Singapore as well as the types of home ownership. Properties in Singapore can be broadly categorised into three categories: private housing, public-private hybrid housing and public housing. The Housing and Development Board (HDB) provides quality and affordable public housing for generations of Singaporeans. Today, more than 80% of Singapore’s resident population resides in HDB flats. As these units are subsidised and regulated by the government, there are significant criteria to be met before one can purchase a HDB flat. You cannot own other property locally or overseas, or must dispose of it more than 30 months prior to the purchase of a new flat, or before or within 6 months of the purchase of a resale flat. You have to occupy the flat for 5 years before you can sell it in the open market. Occupiers must continue to be listed in the application and stay in the flat during this 5-year period. Income ceiling $12,000 for most flats, $18,000 for 3Gen flats and $6,000 for 2-room flexi flats and certain 3-room flats in non-mature estates. Citizenship requirement At least one applicant must be a Singapore Citizen. Dependent on the scheme under which the flat is bought. Generally, at least one applicant must be a Singapore Citizen or two of the applicants must be Singapore Permanent Residents. The applicant and his spouse must be at least 55 years old at the time of the application. The term of the lease must also cover the applicant and his spouse up to the age of at least 95. 3-room flat Young families on a budget with very young children. 4/5-room flat Larger families that value a versatile and comfortable living space. A complete list of grants and subsidies for families of different income levels can be found here. The Executive Condominium (EC) is a hybrid of public and private housing. They are similar to private condominiums in terms of design and facilities. ECs are built and sold by private developers at a price generally lower than similar private homes, and buyers of ECs are considered to have taken a housing subsidy. Additionally, buyers may take up Central Provident Fund (CPF) grants to pay for an EC bought from a developer. To qualify for the purchase of an EC, the average gross monthly household income must not exceed $14,000. ECs cannot be sold or be fully rented out during the 5-year Minimum Occupation Period (“MOP”), and may only be sold to Singapore Citizens and Permanent Residents upon the expiration of the MOP. After ten years, ECs acquire their “fully privatized” status where foreigners and companies may also purchase it. There are 3 types of private condominiums tenures in Singapore – 99-year leasehold, 999-year leasehold and freehold. Generally, freehold private condominiums fetch the highest value. There are few restrictions governing the purchase of private condominiums. Terrace Houses – Medium density private properties joined together by a common boundary. The side walls on both sides of a terrace house is shared, and the end unit is commonly referred to as the end terrace. Semi-Detached Houses – Sharing one wall in common with the neighbour, semi-detached houses are pairs of properties-built side by side and separated with a wall partition. Each house is an exact mirror of its twin unit having the same measurement as well as layout. Detached Houses – Commonly referred to as “Bungalows”, the house itself stands on its own with no walls or other parts of it linked to other properties. Generally, foreigners must seek approval under the Residential Property Act (Cap. 274) to purchase these types of private housing. While the possibility of a spouse passing away may be inconceivable when applying for your flat, it is still important to know what type of ownership you are entering into as it determines your rights, obligations as well as possible remedies, especially if you want to have a say in how your assets will be split. Generally, an individual whom solely owns a property can Will away his right, title and interest in the property. In the event of the absence of a Will, the property will be distributed in accordance with the Intestate Succession Act (Cap. 146). Joint tenancy is when two or more persons share equal, undivided interests in the property. It does not necessarily have to be between spouses. Under a joint tenancy, each joint tenant has the rights of a single owner and is equally entitled to the property. Upon the demise of a co-owner, his interest in the property passes to the other joint tenants, irrespective of any direction to the contrary in his will or of the intestacy of the joint tenant. This is regardless of how much he had paid for the property. Therefore, a party who wishes to will away his share of the property or have his share distributed under the Intestate Succession Act, and does not wish for his share to pass to the other joint tenant(s) should consider severing the joint tenancy. Whereas in a joint tenancy no individual can be an owner of a distinct share of the property, tenants-in-common hold a distinct and separate share in the property. Unlike under a joint tenancy, respective shares of the property under tenancy-in-common may be gifted away by way of a will or distributed in accordance with Singapore intestacy law (where there is no will). The proportion of the shares held by the tenants in common need not be equal. A joint tenant may sever his joint tenancy and transform it into a tenancy-in-common by mutual agreement between the joint tenants or by way of a unilateral agreement pursuant to Section 53(5) of the Land Titles Act (Cap 157, 2004 Rev Ed). Severance by mutual agreement allows the joint tenants to decide on the proportion each party is entitled to. However, if joint tenants are unable to agree on the proportion that each party will be entitled to in a severance, one option that a joint tenant has is to unilaterally sever the joint tenancy. In such a case all owners will then own equal shares in the property as tenants-in-common. Another option a joint tenant will have is to apply to the court to seek a severance of the joint tenancy in unequal shares. The court will then look at, amongst other things, parties’ contributions to the property in deciding on the respective share of the property that each party is entitled to. Shafeeg bin Salim Talib and another (administrators of the estate of Obeidillah bin Salim bin Talib, deceased) v Fatimah bte Abud bin Talib and others  3 SLR(R) 439 at . Have a question on property? If you have any questions on legal clinics, you can get a Quick Consult or other lawyers. With Quick Consult, from a transparent, flat fee of $49, a lawyer will call you on the phone within 1-2 days to give you legal advice. 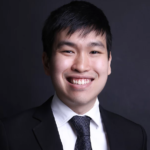 This article is written by Joel Loh from Chiu Cheong LLC and edited by Tianzhou from Asia Law Network. Joel loves tackling legal problems and coming up with innovative solutions. His main area of practice is Civil Litigation. Joel graduated from Singapore Management University. His most memorable case is one where he represented a young client pro-bono for breaching the terms of his probation by committing a similar offence and managed to successfully argue for a fresh probation term to be given. I already have a will; do I need to update it?